Considering replacing your vehicle? We can provide valuable advice based on our experience servicing Asian, European & American cars. Are You Considering Buying a New or Used Vehicle? 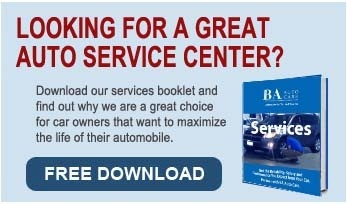 We can help guide you in selecting the perfect vehicle. Buying a new vehicle can be a stressful time. There are many different factors to consider. What type of vehicle will best suit your needs? Which make offers the best value? Who has the best safety features? What makes are most reliable? What new technologies are worth considering? By servicing hundreds of vehicles every month, we quickly learn the good and bad points of different makes and models -- things like which are most reliable and which give car owners the least servicing problems. We are pleased to share this knowledge with our customers. We will discuss your requirements, your likes and dislikes, and can steer you away from vehicles with poor reputations. Of course the final decision is yours, and personal taste has a major influence, but hopefully our input will help you make an informed choice for greater reliability. When buying a used vehicle you need to be even more cautious. First, we suggest, you make a short list of makes and models you like. Then talk to us so we can advise you regarding any less reliable models. After you have selected the model you would like to own, test drive a number of cars for comparison, making sure to check the air conditioning and all the accessories. We recommend that you test only cars that have passed the Maryland Safety Inspection. The seller should have the certificate to show this. Having test driven a selection, pick your favorite and bring it to us for evaluation. Passing the Maryland Inspection may mean it is safe to drive, but does not guarantee that it will not need expensive repairs or maintenance in the near future! We will perform an extensive check, and give you our honest opinion of the vehicle, so that you can make an informed decision. We will road test the vehicle and test all the systems outlined below. Additionally we will check all the controls including wipers/washers, dash lights, heater and air conditioner. Additionally, we'll check the tires for wear and tread and the body for rust. Purchasing a new or used car doesn't have to cause anxiety. Let us help alleviate some of the stress associated with this major purchase decision.